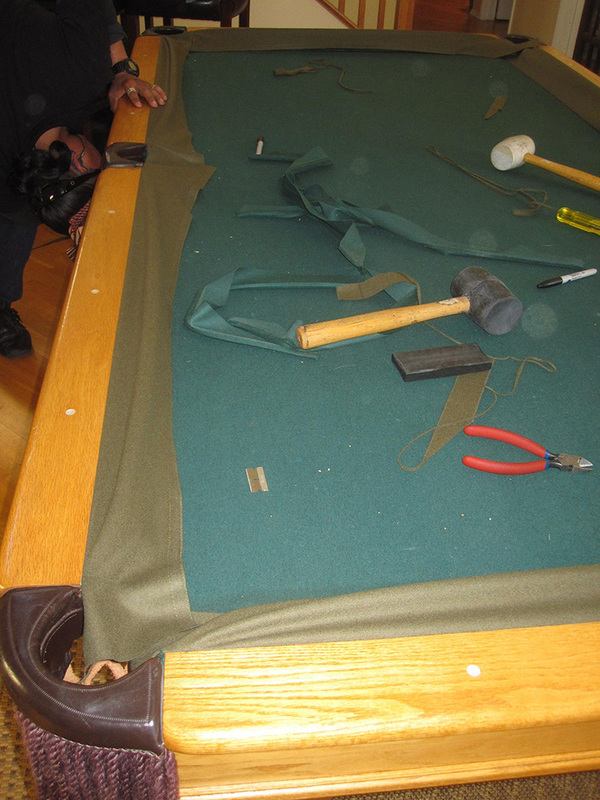 This Beach Mfg. 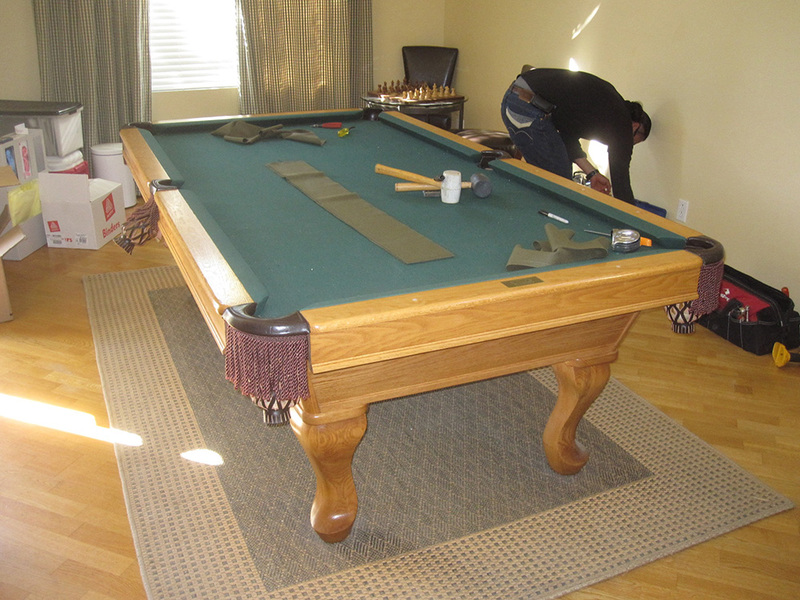 pool table we serviced for our client in Trabuco Canyon, CA. 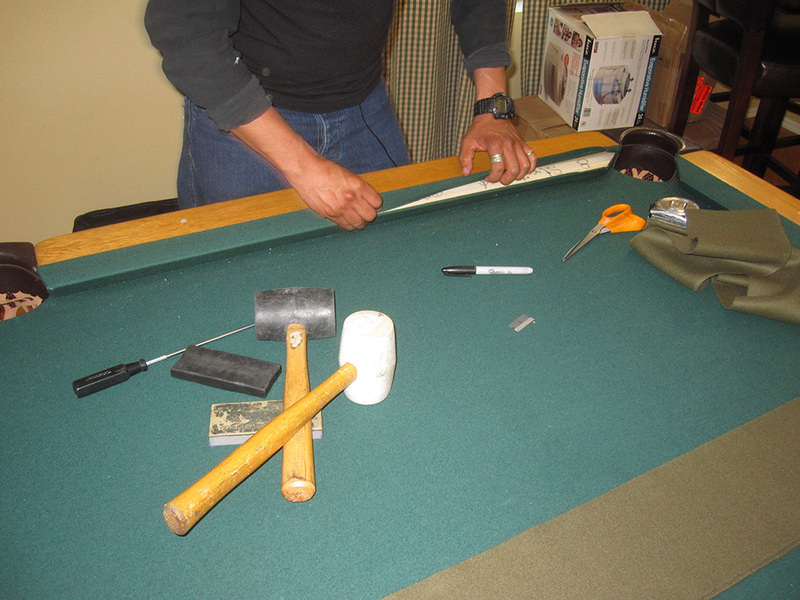 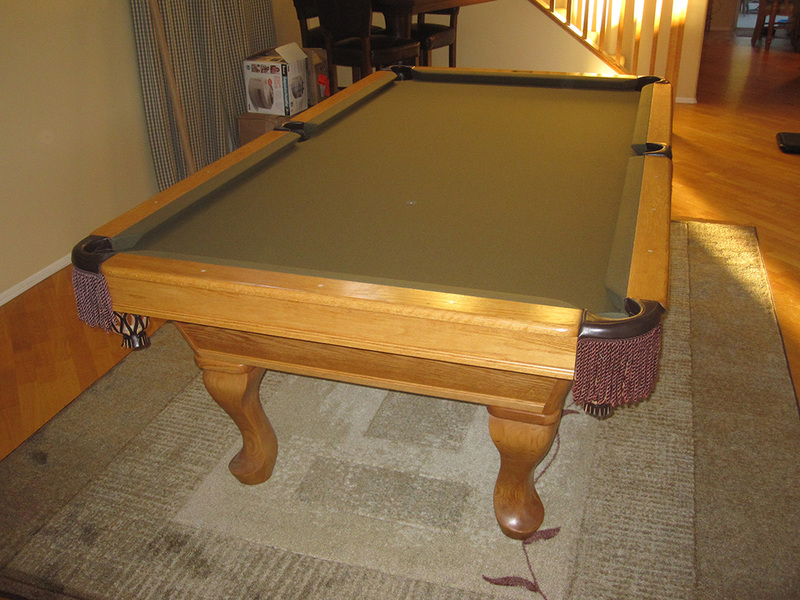 The eight foot pool table still had the original spruce colored felt from seven years ago. 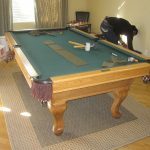 Our client had purchased a new area rug for underneath the pool table. 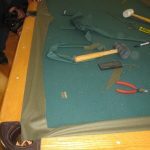 Sometimes we are able to move a pool table on our special dollies, it depends on space. 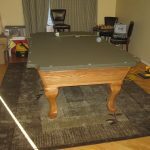 This particular client didn’t have enough space for her entire pool table to be moved out of the area where the new rug would be placed. 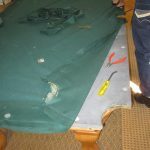 She was also hosting her daughter’s Bat Mitzva party and wanted the old felt to changed. 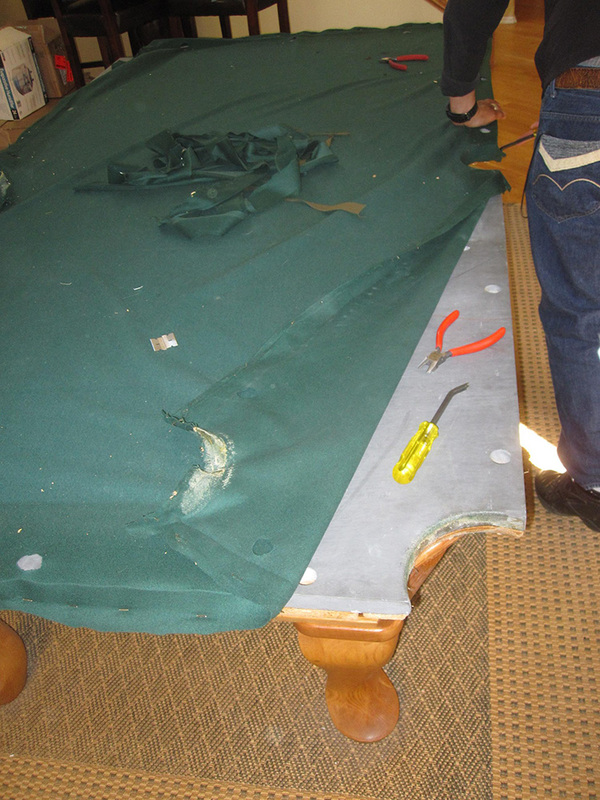 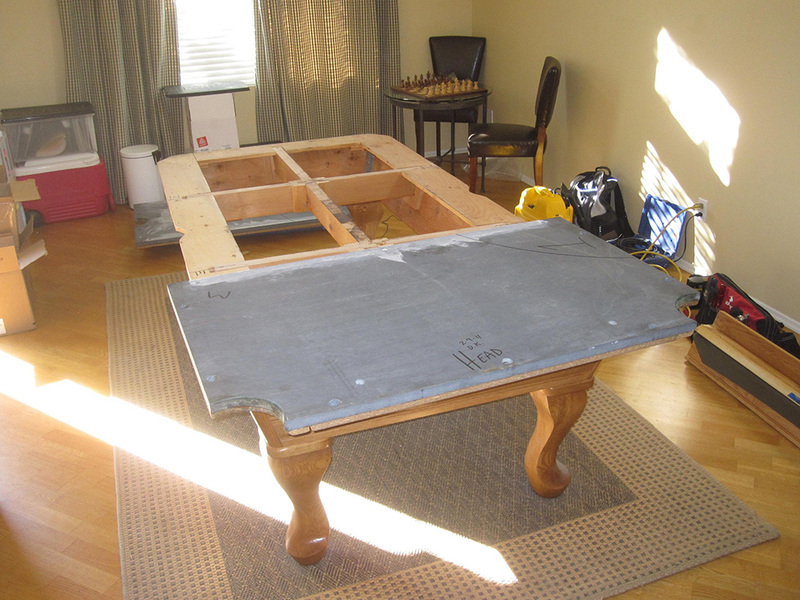 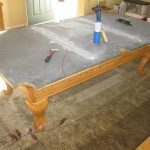 We disassembled the eight foot three slate pool table into smaller pieces and moved them off of the old rug. 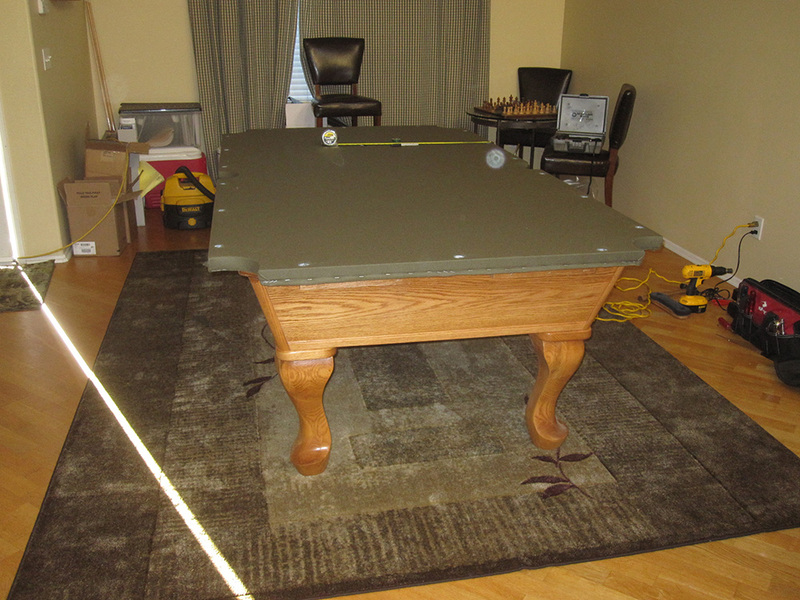 We then centered the new area rug, placed the frame back into position then started on the pool table setup. 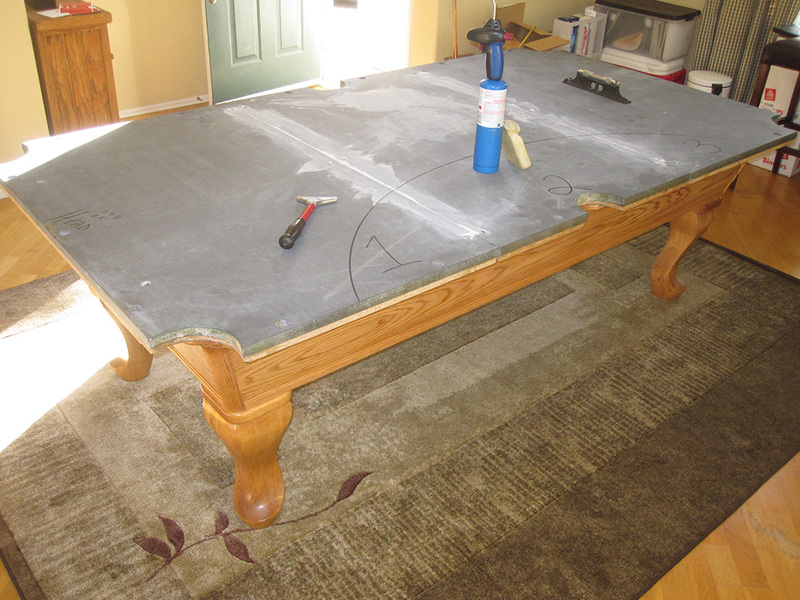 My assistant started to recover the rails while I finished leveling the slates. 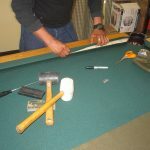 I finished by stretching on the new Mali 10820-f olive cloth my client had chosen.